Maybe you feel not-so-great about how often you shopped at Walmart last year, or maybe your New Year’s resolution is to volunteer for a local non-profit. No matter how you look at it, 2017 is giving you a chance to fix all of those “maybes” by supporting local Milwaukee businesses. After all, it’s the responsible, community-driven thing to do that improves not only the city we live in but the lives of the people who live in it too. Here’s our list of MKE businesses that would be grateful for your money, time, or even just a quick shoutout. 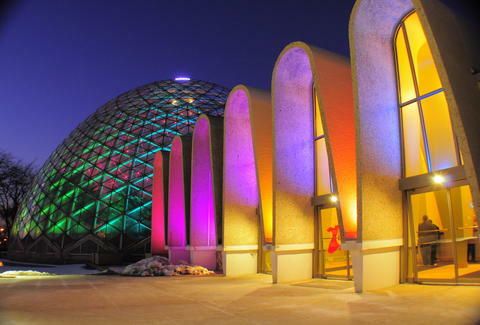 The domes are crumbling after years of deferred maintenance on 50-year old construction. In 2016 they were closed for a period of time because of falling concrete, but are back open for business. The iconic structures will need a major influx of cash to stay open, so make a point of reliving your grade school field trips in 2017. 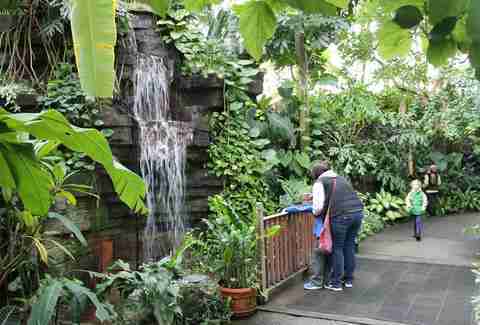 Nothing is better than a stroll through the tropical dome in winter anyway. The Wisconsin chapter of the National Hemophilia Foundation is here in Milwaukee, with the mission to educate, advocate and support the bleeding disorders community. Lucky for us, they make supporting them super easy, thanks to their annual Milwaukee's Best Bloody event in early spring. MKE has a lot of bloody tasting events, but this one is the best and biggest. Tickets sell out, so get them quickly. When someone says "consignment shop" you probably think of your grandma. 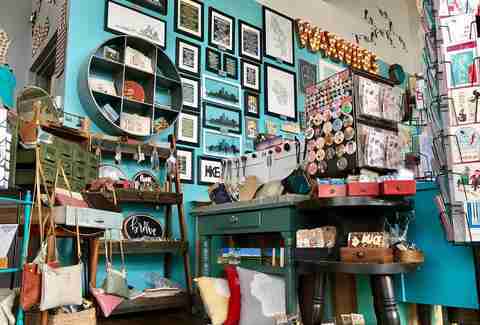 The Waxwing is bucking that stereotype completely by carrying the work of local artists and crafters in a kind of brick-and-mortar Etsy. You'll find everything from necklaces made with butterfly wings to leather-wrapped flasks. It's a one-stop shopping trip for a year's worth of birthday present needs while supporting local artists. Newaukee calls itself a "social architecture firm," but that's just a fancy way of saying they're Milwaukee's biggest cheerleaders. They put on events that make Milwaukeeans look at our city critically while also enjoying all that it has to offer. You've probably heard of the Night Market and the Urban Island Beach Party; that's these folks. Attend any of their events and you'll be helping fundraise, supporting local businesses and probably even networking. Located in a former bank--complete with vault that now holds supplies--CMYB serves as more than just a coffee shop. It's a beacon of revitalization and empowerment in an area of the city that needs more community spaces. It also serves much more than just coffee, with a full menu of Southern favorites like chicken and waffles and biscuits. Next time you're looking for a new breakfast spot or fish fry, start here. Neighborhood grocers and butchers often get overlooked in favor of the big-box stores that may have lower prices but non-existent service. Let's change that in 2017 and make a point to support our local corner grocery stores.These small stores are often quirky, have a long history, and are full of interesting characters. Rupena's features a fish fry on Fridays, hot ham and rolls on Sunday morning and Hungarian sausages for dinner. Milwaukee is lucky enough to have a radio station that's non-profit, listener-supported and run by an on-air staff that's completely volunteer. That means those DJs are 100 percent dedicated to bringing you music that they love, and that you likely have never heard before. 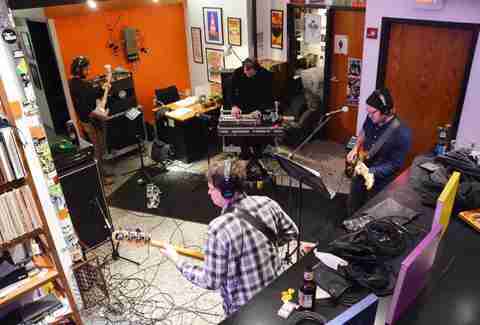 They support local musicians who wouldn't otherwise get airtime here and they've been broadcasting for 35 years. Of course you could just donate, but buy tickets to one of their events, or volunteer at the station instead. 2016 was a rough year for Ashley's Bar-B-Que on Center St. In September, a car drove into the front of the building, and in November, a large fire shut them down completely. As one of the best BBQ spots in MKE, they deserve some extra love to get back on their feet. While we wait for them to reopen on Center (early spring is the owner's estimate), head over to their other location on National Ave. to show support. Bonus: that location serves booze. Independent bookstores are few and far between these days, so MKEans should make it a goal to support the ones we do have, especially Boswell Books. The staff are amazing and actually well-read, so they can recommend you new reading material; the couches are well-worn; and the selection is surprisingly large. 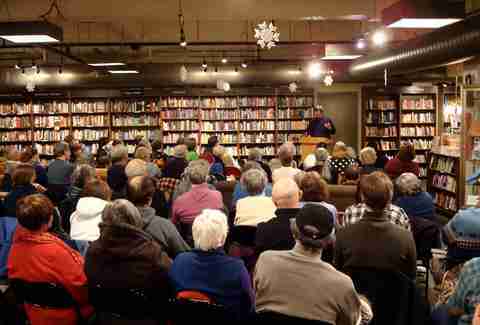 They also host a ton of author talks and signings, something that the big stores just don't do much. If you're nostalgic for the good old days before electronic books existed, this is your place. After the unrest in the Sherman Park neighborhood following the police shooting of Sylville Smith, residents of MKE from all over town wanted to know how they could help the diverse neighborhood. Start with the Sherman Park Community Association, which was formed in 1970 with the goal of improving the quality of life there especially in regards to diversity and inclusion. You can join one of its committees, or at the very least members will be able to point you towards other businesses you can support. 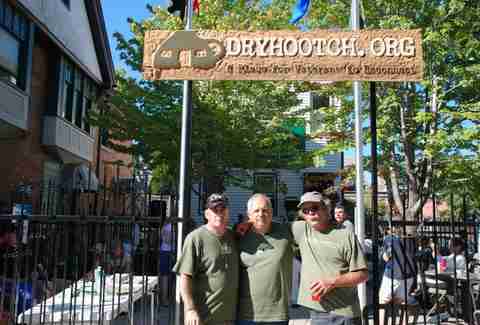 Dryhootch is a nonprofit that operates a coffee shop with the goal of helping veterans return to civilian life in a safe, comfortable and alcohol-free setting. All are welcome at the cafe, where you can get not only a great cup of joe, but likely some great stories from the regulars and a community feel you don't get at Starbucks. When supporting a good cause is as simple as buying your regular caffeine fix, there's no reason not to. Lacey Muszynski is a Milwaukee native who wishes she lived closed to Rupena's now because she really craves that hot ham. Tell her about your beloved corner grocer on Twitter @worthhersalt.